Looking for creative design and quality construction for your pool or landscape project? Well, you’ve found the PERFECT LINK. We are the experts who are well versed in creative landscape design solutions, quality construction that will meet or exceed your expectations. You can choose any in ground pool shape, size and depth. All kinds of styles: lagoon, traditional/classical, modern/contemporary. You also have a full spectrum of decorative and functional features ranging from tanning ledges to rock waterfall grottos. Whether you’re dreaming of a lush tropical paradise or a low maintenance natural desert landscape, LINK designers will help put together a beautiful custom design. Taking into account your home’s architecture, the space you’re working with, and your goals, our team will put together a backyard living space within your budget. A great backyard flows with ease from one living space to another. We begin our designs by considering what type of outdoor living you would like to include. We want to create a natural flow, so that your spaces will work in perfect concert. We asked Link to come up with a “Western Zen” Design, even we weren’t sure what we meant. Tim listened to our ideas and created the perfect sanctuary for us that we treasure every day. 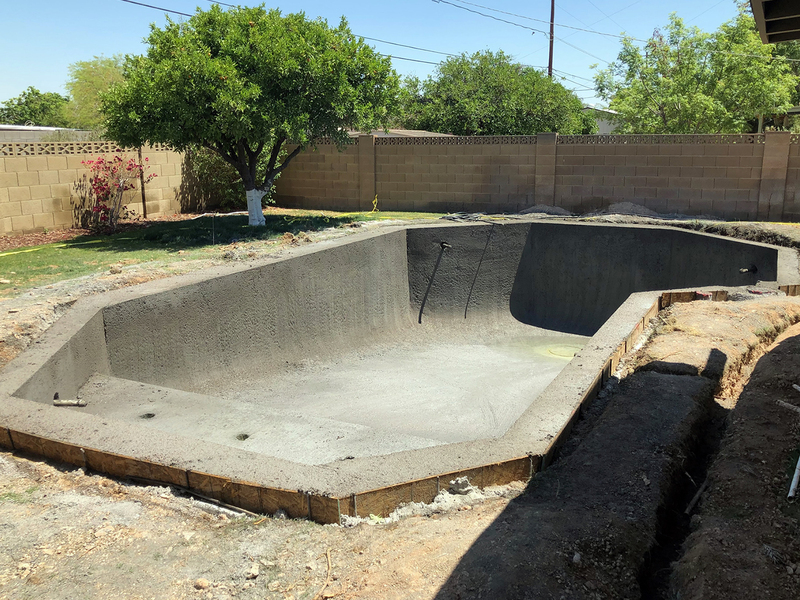 We hired Tim and his crews to help us renovate our outdated backyard and pool. He was very thorough and professional, responsive to our issues and questions and did a beautiful job. We’ve already recommended him to numerous friends and neighbors. We look forward to hiring him for our next project. 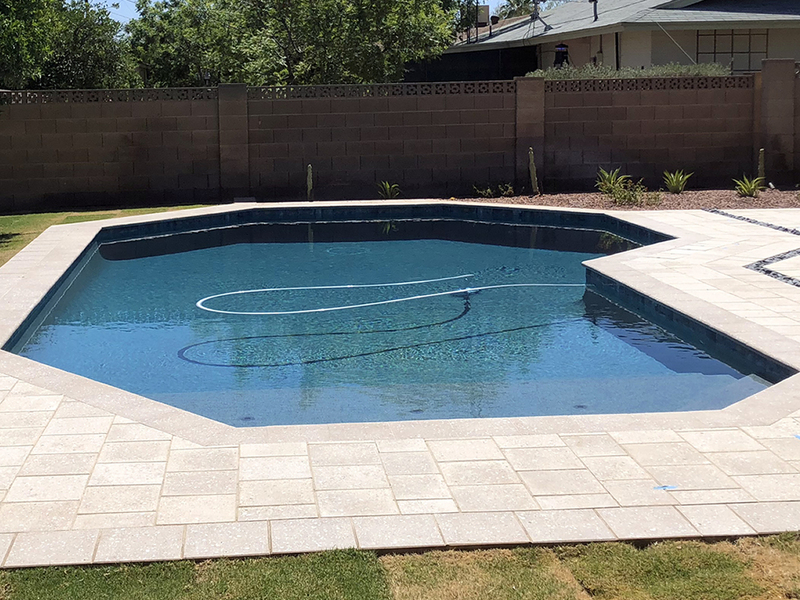 LINK Pools & Landscape includes an extensive, hassle-free warranty on every pool and landscape we install. We stand behind our work 100 percent. Please refer to your pool and landscape contract for specific information on warranty coverage. We work with several banks which offer finance options for all backyard projects. As you might expect, rates and terms are dependent on your credit score and the type of financing you choose. We are happy to put you in contact with a representative who can answer more questions for you. Pool pricing is typically based on a price for a standard sized pool. Pricing can also be affected by the many different design features, materials and equipment installed. 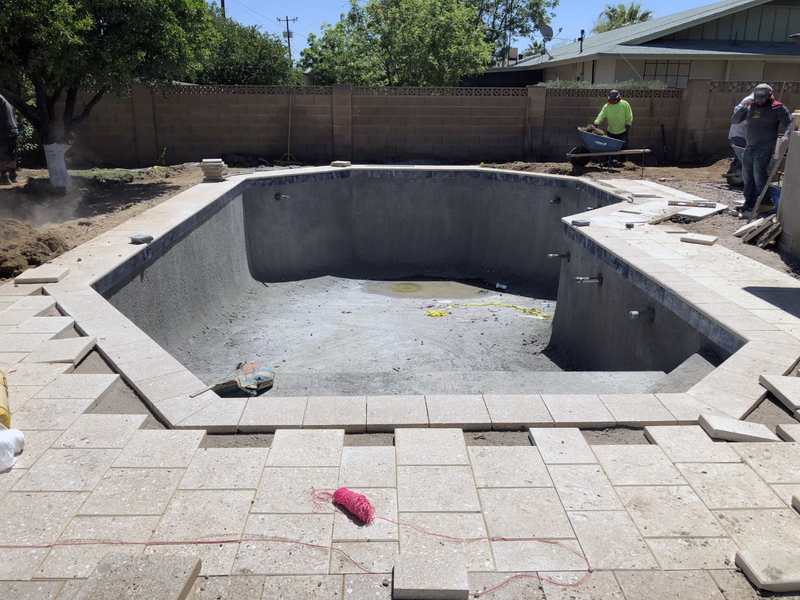 How do we pay for our pool project? A down payment should never be more than 15% with any pool company in Arizona. We generally require a 10% down payment to begin the process. 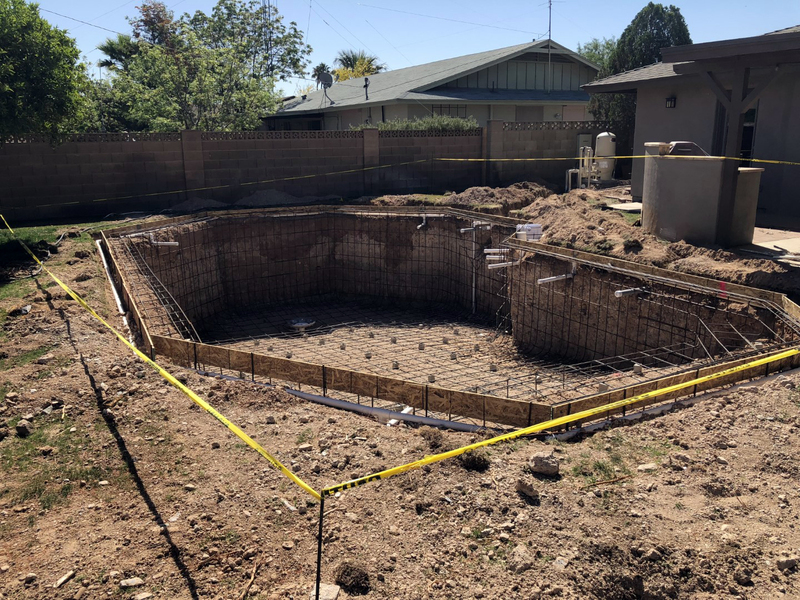 The pool building payment schedule has been set up and mandated through statutes in the state of Arizona. The payment schedule is in stages and consists of a 10%-25%-25%-25%-15%. 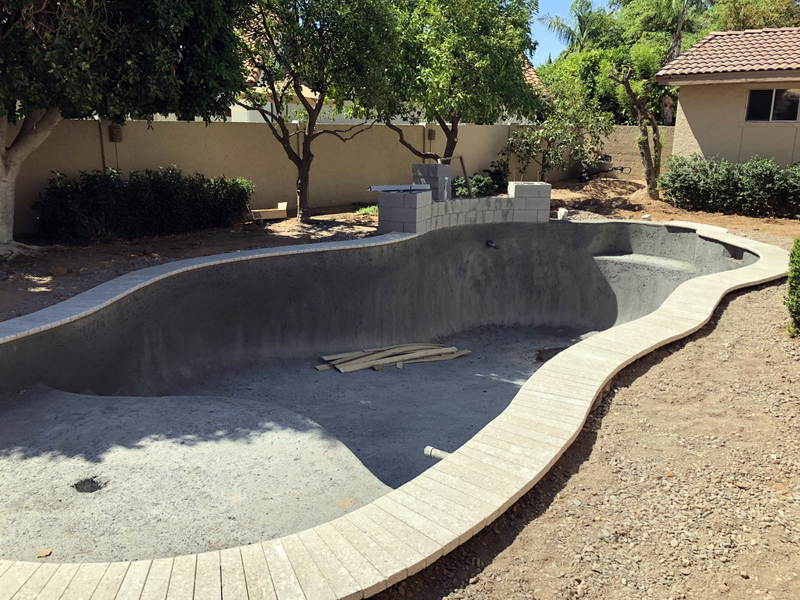 The final 15% is due once the pool has passed final inspection and is ready for its interior finish. The first inspection occurs after electric and before shotcrete. The city inspector ensures that all electrical connections and work are proper. They also review the pool’s structural engineering and steelwork. 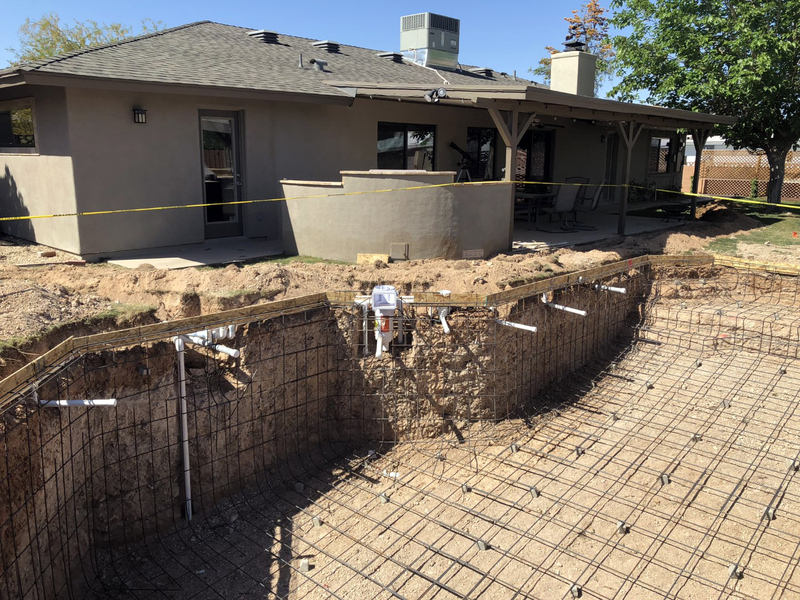 They do not inspect the shape of the pool, pool depth, or in most cases, pool plumbing, as these are not safety or code issues. They will check the pool’s location to ensure it is out of all setbacks and easements. The average pool project will take just under six to eight weeks of actual construction time to build. Specialized products and/or material availability could possibly increase construction time. 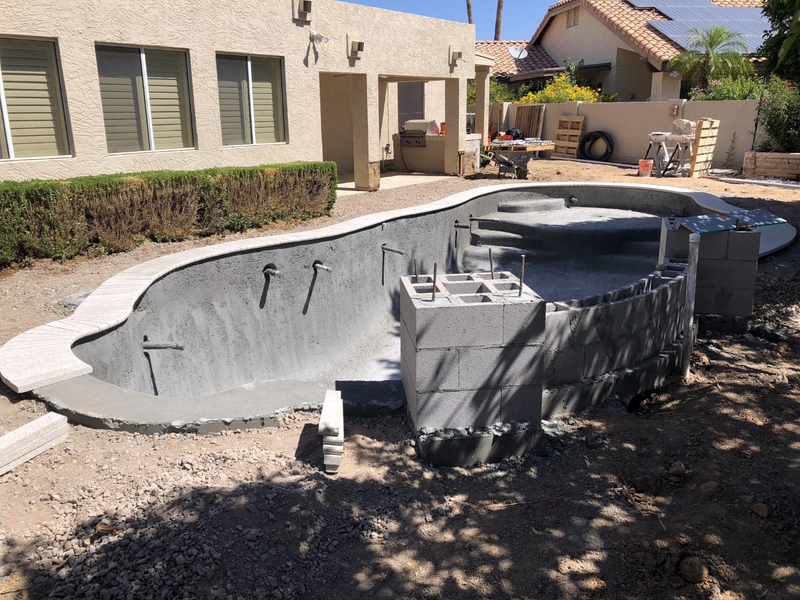 The construction time for pools will vary depending on what features you want to include. 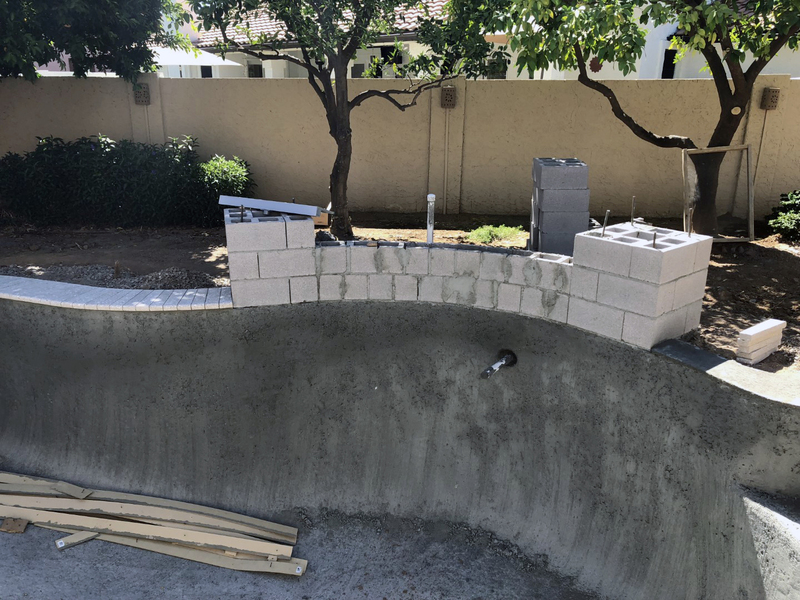 For example, a $30,000 Pool Project Only will typically take six weeks to complete. If you add a spa to your project it will typically take eight weeks to complete. 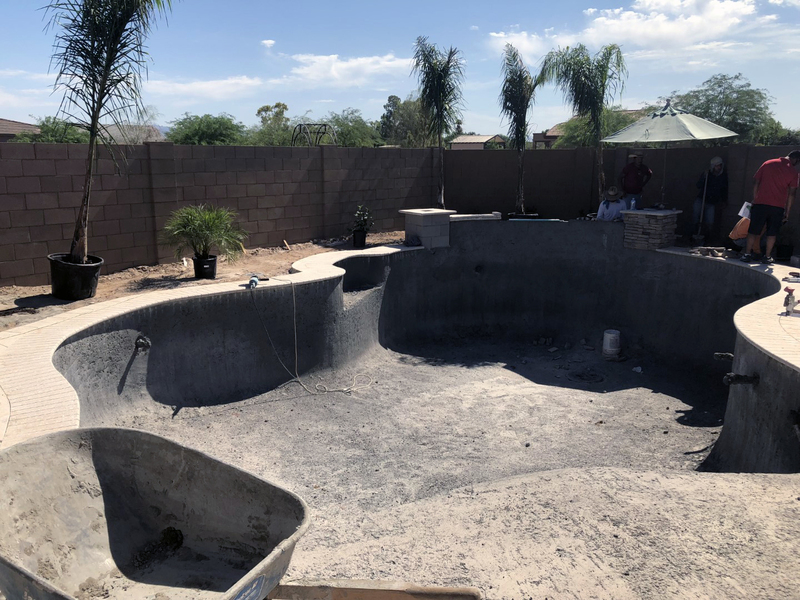 If you plan to do a complete project, including pool/fire features/structures/landscape, you will typically be looking at three months of construction.